Spring is fleeting in Southern California. I think spring came and went from about 8:30 am to 11:45 am yesterday. Then it was super hot and I was moving the umbrellas on the patio to shade my potted hydrangeas. With this kinda of springtime, I have to move fast. Fast like the Easter bunny looking for cover! 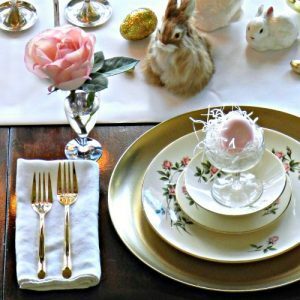 Today I am sharing three fast, simple, yet lovely ways to decorate for Easter – our springtime holiday. Not only am I sharing, but three of my dear & talented friends are too and we have a wonderful prize for one of you! 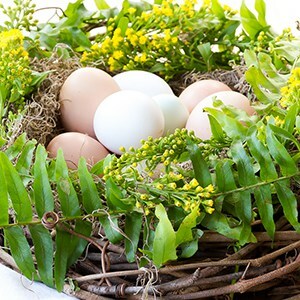 Let your eggs go au’ natural in browns & whites. Mix them in with skeins of yarn for a simple twist on an Easter basket. 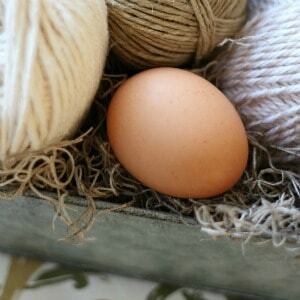 For more on this simple combination of eggs & yarn visit HERE. Forcing branches is a wonderful way to bring the Spring indoors. But what if you don’t have budding branches outside your door? Follow my super simple tutorial ( Got glue? Then you can do this. ) and you will have flowering branches every year. Click HERE for my tutorial on faux flowering branches. That sounds like I am forcing you. No pressure just pop over if you’d like! The idea for a carrot arrangement came to me when I had no flowers for a impromptu Spring weekend lunch. Sometimes great ideas spring forth from less then ideal circumstances. Sooo, those things turned into a carrot centerpiece in about 15 minutes. You can skip the felt tops and get it done in 5 minutes. Simple, fast and in this case, lovely and whimsical ! Get the tutorial HERE. 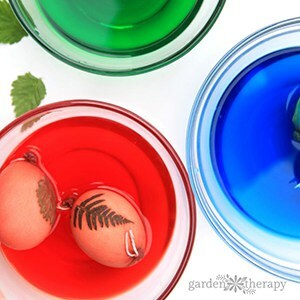 My friends have wonderful Springtime and Easter ideas for you too. Make sure to visit everyone today through Wednesday. Their posts are all linked below so you can easily click through. 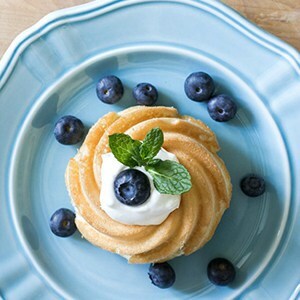 Scroll down to enter to win the beautiful April Cornell hostess set. Again so simple & easy to enter. Visit April Cornell HERE. Then come back and tell me your favorite pattern. Done – entered! The winner will be selected at random at the end of the week and notified by email. Good Luck & enjoy the rest of the tour! 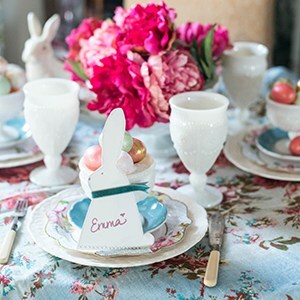 Oh, one more thing…if you’d like to listen to more ideas on adding Spring to your home click the little arrow below to listen to episode # of Decorating Tips & Tricks, my new Podcast. For those who have heard this episode a new one came out this morning! 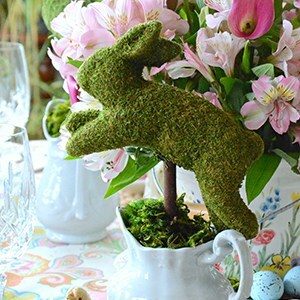 Love all of your Spring and Easter inspiration Kelly!…Oh and how creative is your impromptu centerpiece for your guests….love it! I am hoping that the buds on my hydrangea bushes did not get frozen from the snow we had yesterday and here you are shading them from the heat! Happy to join you this week for the bHome All Things Easter party! Have a wonderful week! Be safe Shirley & I hope the same for your buds! Stay warm!! When browsing her site, I found the “Happy Picnic Gingham Tablecloth – Red” and absolutely love it! I also love the hostess set that will go to the winner – I love yellow and Blue together! Thanks for the giveaway-how fun! Love that everyone is picking a different pattern! Willa Rose is lovely! So many beautiful goodies; it’s hard to choose a favorite. I’m torn between Greta’s Garden and Tulips. Both are absolutely gorgeous. You do love Tulips DarcyLea! Good luck! what did you say I didn’t hear you Karen – haha! So pretty! Perfect for an egg hunt Lidy! Thank you for visiting today. I love Falicitys Flowers. I can never get enough blue and white! And gorgeous with Peonies in a vase Nancy! Good luck! They are all beautiful. I love the colors of playful paisley. I’m feeling spring in the air. I made a wreath with white flowers and a sweet guest gave me a white bird cage with three types of plants. I could use some new cushions for my wicker but until I find the perfect ones, I’ll put my old ones out. They are an old fashioned print and I’m calling the fading – patina. ? I have always loved April Cornell for their tablecloths and various other sundry. I do buy the occasional piece of clothing, too. I’m loving the Mum’s placemats. Oh, and your carrots are Adorable. I’m going to make that for my Easter centrepiece. I think the grandkids will love it. Thank you! Let me know how it goes over with the sugared up crowd on Easter! look at you being all funny…I did chuckle through the post. love the idea of the carrot arrangement. Sorry spring isn’t sticking around there, it’s freezing cold here today. Glad to have made you chuckle Laura! Yes, I heard it is c-o-l-d over on the other side. Hitting 87 here today. Stay warm! Your website is becoming the highlight of my day!! I live in Southern California also and the heat yesterday was a killer on the garden!! I hope we get a little “spring”!! I am a lover of April Cornell as well…. water Lily is my favorite! Well Janet you just made my day!! Thank you! Today is heating up to be a scorcher ! So glad you found me! Come back Julie! Of what fun we’d have at the Rose Bowl Flea Market! Thank you! As it cools off by you! Thank you Kerryanne! For Spring and Summer! I really enjoy listening to your tips on the podcast. You girls are so fun! Thank you so much Sherry ! We so appreciate that you listen and letting us know you are enjoying it! Good luck! Well we are getting 12-18″ of snow tomorrow which makes it hard to think about Spring! For tablecloths I really like the Meadow Round Tablecloth. 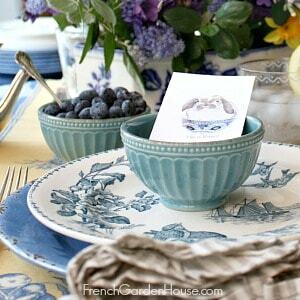 But, my favorite thing on the site are the Chickadee Round placemats. They are just so cute! Thanks! Yikes Laura!! Do try to think of spring and be safe driving to work. Better yet stay home! I love the Felicity’s Flowers pattern in red! I really enjoy your blog and your new podcast! Wow thank you Sarah! Good Luck!! No, no, I cannot choose, because I love it all. Nice job you did. Hard to choose fro sure! Thank you! 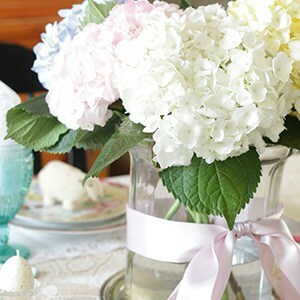 They are all so pretty, but the linen and lace, heirloom rose is my perfect color choice! I remember April Cornell and her beautiful patterns when I sold them in my gift store in the 80’s. Of course I have two of her patterned tablecloths. I love the linen Victorian Rose in the pink roses. I have listened to every Podcast and look forward to the new ones. 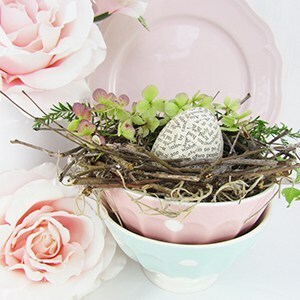 This has so many good ideas for decorating for Easter. I will start simple and add more to it each day I find more decor items. I have a big table and I have three moss balls I use at Christmas. I am going to use them too. Christine – thank you so much for listening & for letting us know you are! We LOVE a moss ball or two at DTT!! Yes, sure them for Easter too! Yes April Cornell has been around a long time and still going strong. Good luck! Gretas Garden is my favorite. Or at least one of them. You really are incredibly talented. Jan – you flatter me too much! 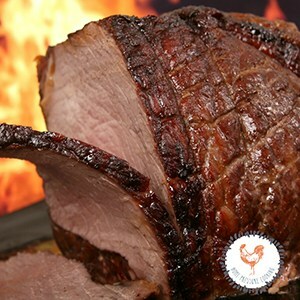 I am blushing as I read your comment! Thank you & good luck! I love all of your beautiful springy ideas, Kelly! The carrot centerpiece is absolutely adorable. It is no where near warm enough here to think about lettuce plants yet but when I do buy some I think I’ll make one of these for a centerpiece until it’s time to plant the lettuce outdoors. It’s always so wonderful to “hop” with you. And hop with you too Mary Beth! I love your tablescape! Thank you my friend! I was attracted to Felicity Fowers but A.C. designs are always a treat to visit. I love the Tea Rose tablecloth. The pattern and colors are just gorgeous! Thank you for the opportunity to win! Can’t go wrong with Tea Roses Fonda. Thanks for coming by & good luck! Nancy you are too kind! Thank you so much! Good luck! Great ideas, Kelly. 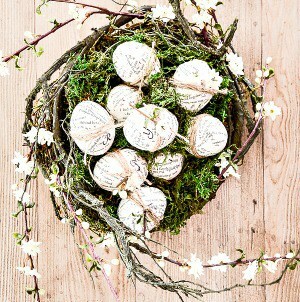 I love the simple arrangement with the eggs and twine. Simple Pleasures is my favorite. Simple, but very pretty! I love the yarn and eggs!! Such a cute idea! Thanks Susan and since you are knitter you probably have yarn on hand. The water lily pattern is my favorite. 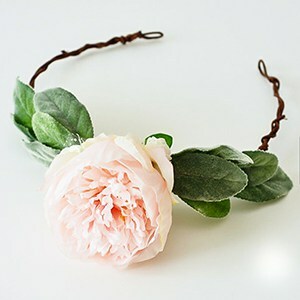 Can’t wait to make the faux flowering branches. What a good idea! Kelly, I am wild over your little carrot arrangement. How adorable!!! I’ve got to copy this idea! LOVE! I love the floral oilcloth. Love your blog. Thank you SO much Kari! Good luck! Love all your spring ideas, my favorite are the yarn, so cute I have something similar going on except minus the eggs, and the tree branches with flowers cute. 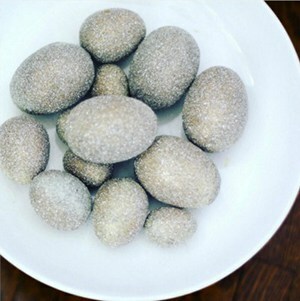 Easy to toss in the eggs Pamela – well maybe not toss! Thank you for coming by! You are always such an inspiration to me, Kelly. I just love every one of these ideas! Thank you for the chance to win a beautiful tablecloth. Simple Pleasures is my favorite. Kelly I’m going back to listen to your podcast it’s the first one at your blog I have heard, just had to enter the drawing for the April Cornell table cloth first. Oh wonderful Denise! Thank you!! My favorite flower is the springtime mid-west tulip. So I have to choose “Tulips”. Wait a minute, I also love garden ideas in the springtime so I have to choose “Gret’a Garden”. Oh dear, I also love spring time in general so I declare ALL these posts Winners.